Sebastian and Finn are a gay couple who have lived in Spain for eight years. In October – November 2015 they decided to take their pug dog, Bandito, and cat, Luigi, on a long walk. Not just any walk: the Camino Francés. 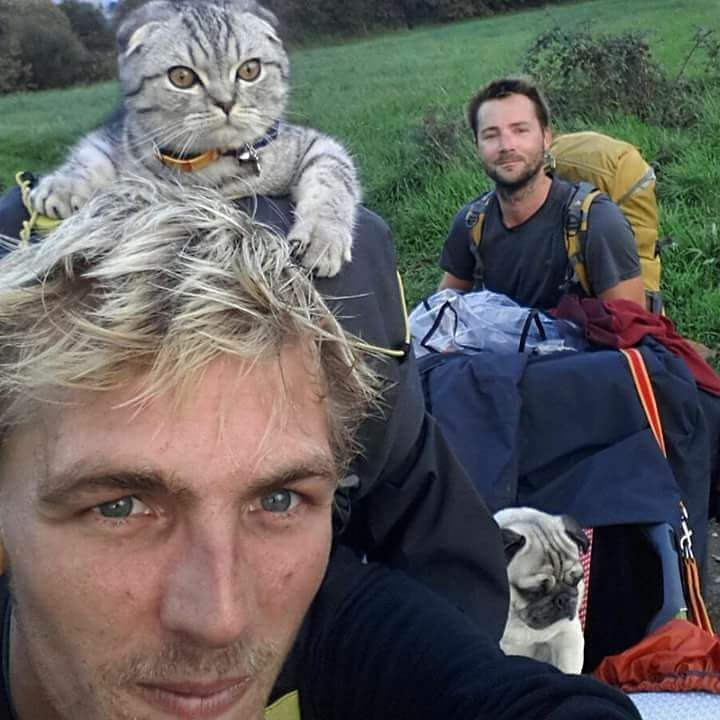 I shared their incredible story, The Pug and Cat on the Camino, and added it to my Favorite Camino Blogs page. I contacted them to see if they would like to have a pilgrim interview. Sebastian responded and compiled the answers from all the boys. 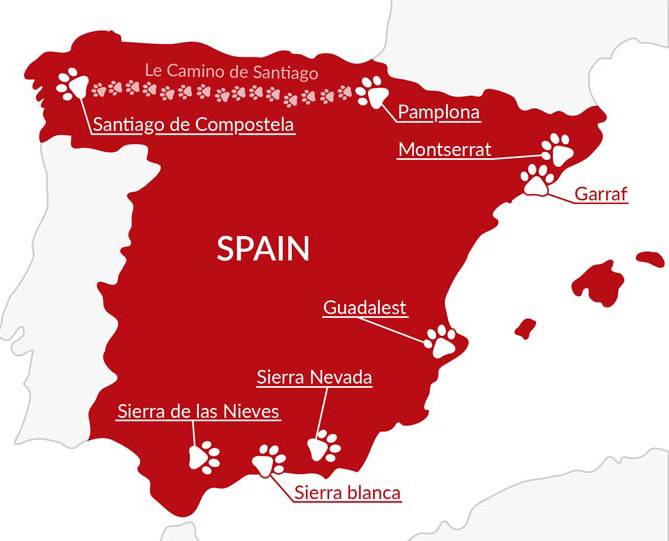 Below is a modern family’s take on walking the Camino with their adorable four-legged compadres. 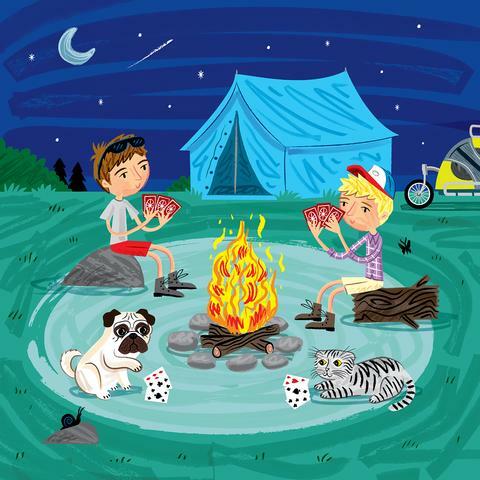 Laurie: I loved seeing the adventures of Pug and Cat on Instagram and YouTube a few months ago. What made you decide to walk the Camino Francés with them? Sebastian: We were living in Barcelona but not at all getting what we wanted out of life. We had changed, and it just became clear that we couldn’t stay working long hours and being unsocial anymore. Luigi was a birthday present for Finn, but about six months early and not planned! After Luigi had arrived we realized we didn’t want to take the dog on a mundane walk and live in fear of the cars and the Cat. So we picked up everything we could and left an old life behind. Laurie: That is a big change! 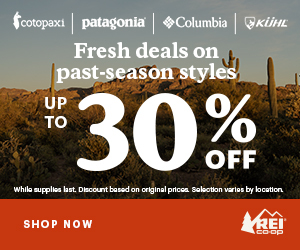 Where did you start your Camino? Sebastian: We started about twelve kilometers before Pamplona. Laurie: I wish I could take my dogs on the Camino, but the long flights to Spain would freak them out, not to mention the logistics of where to sleep. Where did you stay? Sebastian: We camped every night. We stayed in the garden of a couple of albergues but avoided the vast majority. One time, because we had a flat tire and it was the only place to go, Albergue Casa Rural Las Águedas near Astorga turned out to be amazing! Laurie: It’s true, albergues are amazing, but we human pilgrims have to deal with occasional bedbug scares. Were there any fleas, ticks, or other pet peeves that you encountered along the way? Sebastian: Luckily no fleas or ticks. Luigi got castrated in Burgos though! We stayed for four days in the campsite while he recovered. We took them to a vet three times in total for check-ups, and they were always in perfect health. Laurie: Pobrecito Luigi! Glad to hear they were in good health, though. It must be all that fresh air and exercise! How did you two manage with the camping gear and wheeled trolley? Sebastian: We definitely increased our stamina, the dog trolley was the real challenge and was an extra to legwork out. Arms and shoulders got tested pushing the trolley uphill, and downhill was equally challenging because we didn’t have any brakes! Laurie: I got in shape too, even though I ate everything in sight! What were your favorite things to eat and drink on the Camino? And what did the kids eat? Finn: Early on in Espinosa we discovered Tortilla, Chorizo and Bocadillos de Queso. Having lived in Spain for eight years, these were quite a revelation, although we haven’t eaten any since! We often shared the menu del día with the kids because the portions were so big. Laurie: How far did you actually walk? Sebastian: Our Camino was 750 km, although actually a lot more because we had to walk many parts twice with the trolley, and I walked extra miles to find a place for toilet everyday! We ended up walking 1,500 kilomters so far. Laurie: Wow, that’s a lot! Did you walk back home? There are loads more places we’ve been to, but those are the main ones. Below is the map from our website. Laurie: You certainly made your mark on Spain! What were some of the reactions from other pilgrims seeing the four of you? Finn: Some people thought we were pushing a baby or just had way too much stuff. When they saw the animals, we got positive reactions. Other pilgrims liked to see all of us playing in the fields. It was quite a shock for most people. You would see and hear Bandito pretty quickly but Luigi could be in a tree or out of sight people didn’t believe it until they saw him. Laurie: How did the Camino experience change you as a family? Sebastian: Every step we took further from our past and closer to something new was a good feeling. We didn’t know where we would end up, and we had nothing to go back for, but all the signs were good. As a family we became closer and able to take on the world! 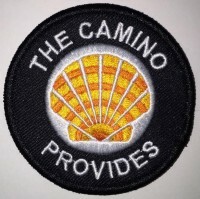 Laurie: What did the Camino provide for each of you? Finn: Distance and reflection following the death of my parents. Sebastian: Reigniting old passions and uncovering new ones. Bandito: My Daddies are happy again. The best thing to come out of all this! Laurie: Well said, all of you! Is there anything else you’d like to share? Sebastian: We have a new website at Pugandcat.com, and now have “Team Pug” and “Team Cat” T-Shirts for sale! Laurie: That’s great! I love the website, and the T-shirts are such a great idea! Which team is winning in sales so far? Sebastian: We’re also working on a series of books. It’s a secret right now, but we are terrible at keeping secrets anyway! The first book will be a children’s picture book of the adventure. Here’s the first-page art. Laurie: Pug and Cat play cards too? This is too cute! I look forward to reading the book. Sebastian: We have our travel diary too, but just can’t decide if that’s for public consumption—maybe after some editing! Laurie: Seriously, some of my gay friends have crushes on you! Maybe you should make a calendar too. 🙂 Will you do another Camino? Bandito and Luigi: Paws up! Sebastian and Finn: Our pleasure! We are amazed to have met so many people on the Camino and since we have met even more. We have even inspired some of our followers to purchase dog trolleys and share their experiences with us. It doesn’t feel like the journey is over, the Camino really is providing! Below are a few photos they provided. They seem awesome and adorable. I wish I could find me a guy like one of them! Thanks for the interview.